When we’re playing video games –whether they’re on a humble console or an all-powerful PC – the whole point of what we’re doing is to escape from our everyday lives. Some people (mostly non-gamers) have come to assume that this means we’re all anti-social individuals who prefer the company of AI than any other real-life human. Obviously, we know this not to be true. The reason I’ve fallen in love with flight simulator games so much of the past few decades is because of the intense and satisfying levels of immersion and escapism that they offer to us as players whilst, at the same time, keeping us grounded in a similar – albeit artificial version – of the real world. Flight simulator games for PC allow you to pilot an aircraft to any point of the genuine globe and witness lovingly recreated monuments and landmarks that due to a whole host of reasons – financial, health, family – we might not have the luxury of visiting when away from our monitors. It’s too easy to condemn gamers for being ‘anti-social’ without looking at a perfect example like the flight simulators we love so much to see just how excited about the real world we actually are. I’ve personally flown across Las Vegas – all lit up – at night, have seen the Sydney Opera House and Bridge in the one afternoon and have marvelled at the Pyramids in Egypt. In the ‘real world’ I never could have come close to affording the airfare to visit even one of these mind-blowing destinations but I feel satisfying that I’ve at the very least experienced them in my own little way. PC Flight simulator games offer escapism just like any other electronic title but I think it’s fair to say that what they also proudly offer is one foot grounded firmly in the real world...even if it is a sharp recreation. A little over a decade ago when I first was introduced to flight simulator games they were a lot more basic than the title’s you can purchase these days to say the least. Whilst the games I started out playing were ground-breaking for their time, the wealth of options of configurations they offered a player don’t even begin to compare with what is available to flight sim enthusiasts in the modern era. We happen to live in a time when technology is at its most powerful and for a video game genre to keep thriving it needs to grow and evolve; thankfully PC flight simulator games are close to the front of the pack when it comes to in-game innovations and added value for its loyal players. A perfect example can be seen straight away when you look at the sheer number of aircraft and airports that are packing into modern-day flight simulator games. Thanks to the wonders of P2P sharing and downloadable content, the number of aircraft on what I consider to be the best flight simulator continues to grow each day. 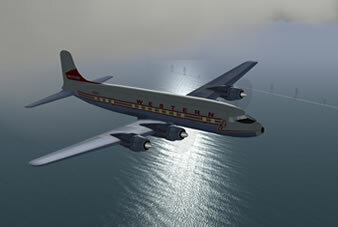 All of the updates and new aircraft are also free to download and add to your flight simulator experience. The proof that flight simulator games are just getting bigger and better as time goes on doesn’t stop with the amount of aircraft available to pilot; in fact, that’s only just the beginning. If you take a minute to head over and read my Virtual Pilot 3D Review you’ll see that real-time weather updates and locations are also a huge addition to recent incarnations of the flight simulator genre. Current generation players are also treated to some of the most detailed, in-game tutorials that have ever been produced and also receive bonuses that, in years gone by, you would have payed a small fortune for in retail stores. It is certainly no exaggeration to say that the flight simulator game industry is really peaking and hitting a level of quality and providing value-for-money that has rarely (if ever,) been seen before. It’s a great time for newcomers to join the community as well as a fantastic opportunity for old fans of the genre to revisit the titles that they once loved so much. P.S. Read my opinions on the biggest and best flight simulator on my links/resources page right now - click here!